Every second year ANZTSR’s International counterpart, ISTR (International Society for Third Sector Research) holds small regional conferences all over the world. 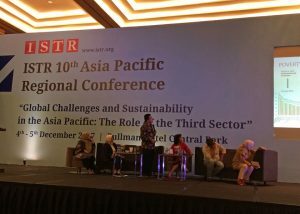 I have been fortunate enough to attend two of these conferences this year, 2017, the first was in Accra, Ghana, the Africa Region Conference where the ISTR Board also met and the second was very recently (December 4&5, 2017) in Jakarta, Indonesia. 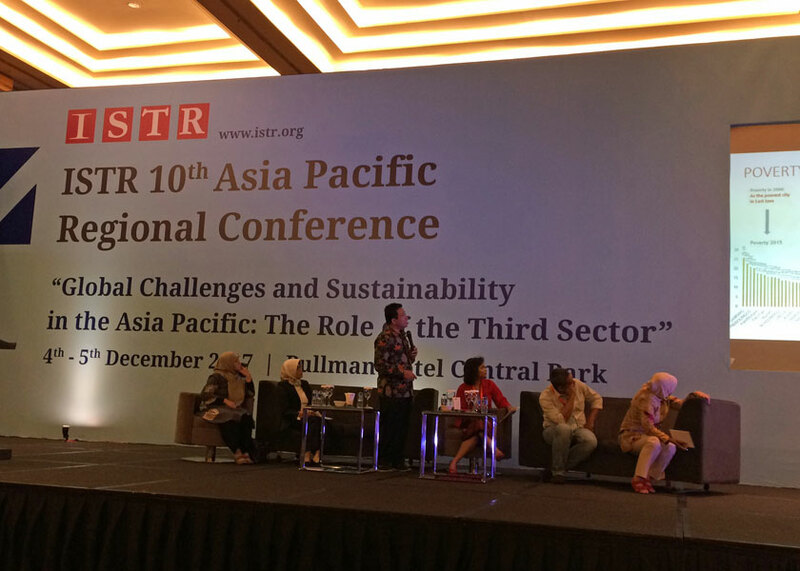 The ISTR Asia Pacific Conferences are always well attended with this year’s conference having 106 people from 16 countries and with 95 papers presented. The Australian third sector researchers and I have been privileged to attend the last 7 in various wonderful locations throughout East and South-East Asia. I see these conferences as not only a wonderful opportunity to network with fellow researchers in the region but also to attend a conference that is not dominated by global North ideas, theories or scholars. The diversity of perspectives and insights is both illuminating and inspiring and the Jakarta conference was one of the best that I have attended (and partially organised!) 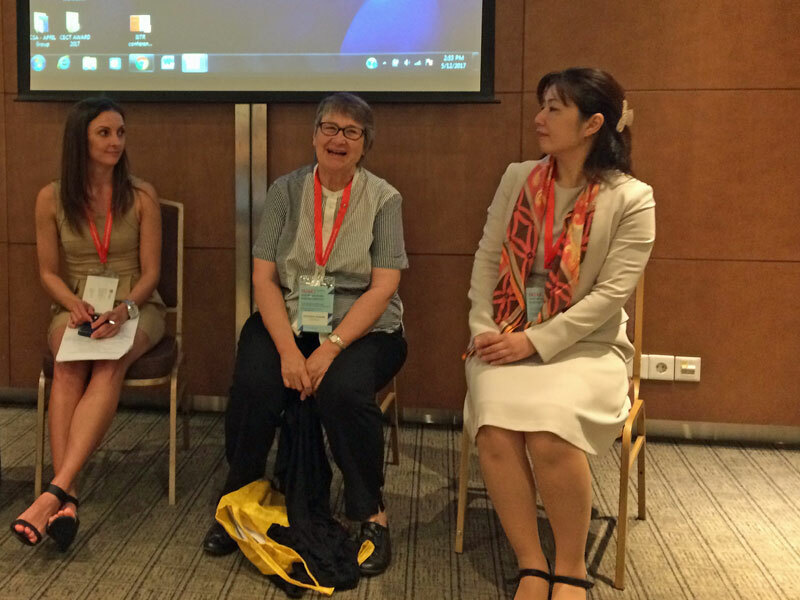 as a wide range of global South perspectives were presented through an excellent program of papers. The tone for this exciting conference was beautifully set by the keynote address from Professor Akihiro Ogawa, Professor of Japanese Studies at the Asia Institute, the University of Melbourne. Professor Ogawa recently edited the Routledge Handbook of Civil Society in Asia (2017) and gave an excellent overview about the current state of civil society in Asia, exploring its future and raising was he saw as key challenges ahead and new research directions for the third sector. 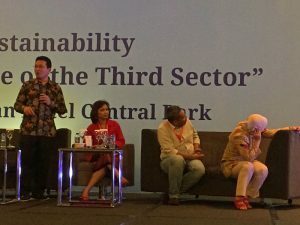 Attendees were also enriched by presentations and panels by impressive local entrepreneurs and corporate sector representatives who presented on innovations in CSR and social enterprise, providing great insight into the Indonesian context for the third sector. For the first time the ISTR Asia Pacific Conference held a two-day PhD seminar, hosted by four faculty members, and attended by a group of 13 PhD students from Japan, India, China, UK, Hong Kong, Indonesia, Korea, Australia and the Philippines. The PhD seminar included workshops presentations from other academics and provided an opportunity for students to engage, learn and network with each other and expert researcher/academics from a diverse range of countries. As one of the workshop presenters I was pleased to see how connected the students had become through the workshop and how all of them were full of praise and gratitude for the opportunity and the experience. The PhD seminar has been part of the larger International ISTR conferences for many years and it is an excellent way of supporting emerging researchers in the field of third sector research. A heart felt congratulations must go to Dr Maria R. Nindita Radyati who offered to and expertly led and hosted the conference and her wonderful team of people who work at the CECT (the Centre for Entrepreneurship, Change and the Third Sector). They were fabulous hosts and the entire conference was very well organised, buoyed of course by a great location that provided great food and well-known Indonesian hospitality. Dr Radyati also secured a high level of support from the corporate community in Indonesia that was also greatly appreciated. 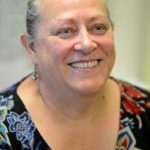 Ruth Phillips is Associate Dean Research Education and an Associate Professor in the Faculty of Arts and Social Sciences at the University of Sydney. Her background is in social policy and political science; she has supervised postgraduate students conducting research on the third sector, particularly in Southeast and East Asia where she has expertise in the third sector and welfare states and a personal research focus on the role of feminism and women’s activism in the third sector.